Fully rebuilt and tested transmission for 1971 VW Bus models only. All air cooled Volkswagen transmissions are road tested in an actual vehicle to check upshifts, downshifts, and reverse. All transmissions come with a One Year Parts Warranty. This transmission is Rebuilt off Original German Core Transmissions. This means the cases are 45-50 years old. They will not be cosmetically perfect and most likely will have some pitting. All transmission cases are bead blasted, inspected, and painted with heavy duty high temp rust protectant paint. 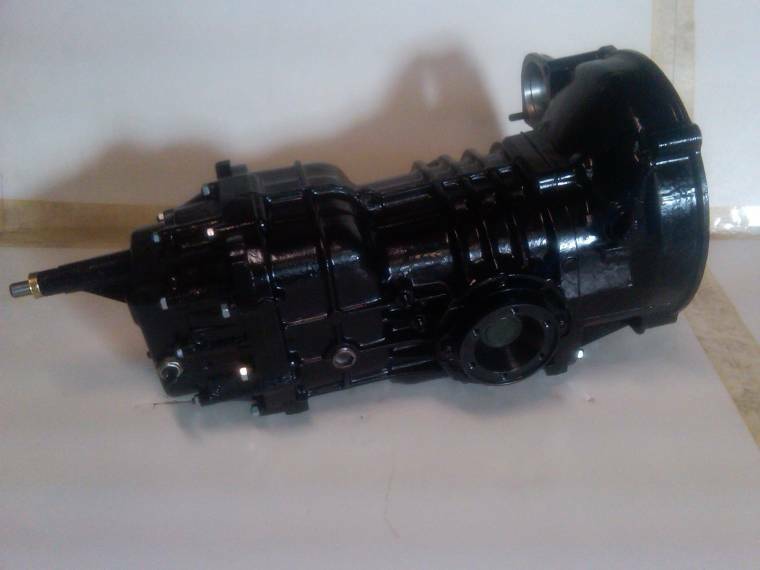 This transmission carries a $200 core charge included in price. If you send us or bring us your core, you will receive $200 off the purchase price.